Dishes with seasonal vegetables are the best diet! Clean the artichokes to remove the stems and hard outer leaves; Cut together all peaks horizontally. Do not throw away the stems, peel them (to remove the bitter part) and cut them into "chunks". Boil the potatoes with the skin and in the meantime cook for 10-15 minutes artichokes and their stems in boiling water, which you have previously seasoned with a dash of white wine. Drain the artichokes and use a cookie cutter or a teaspoon to empty the central part. 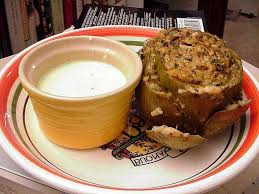 Drain the potatoes, peel and mix in the vegetables strainer with the half stalks of artichokes; You will obtain a cream to which you add the finely chopped anchovies, marjoram, the central part of the previously emptied artichokes, a scant spoonful of oil and a pinch of salt. Fill the artichokes with the puree. 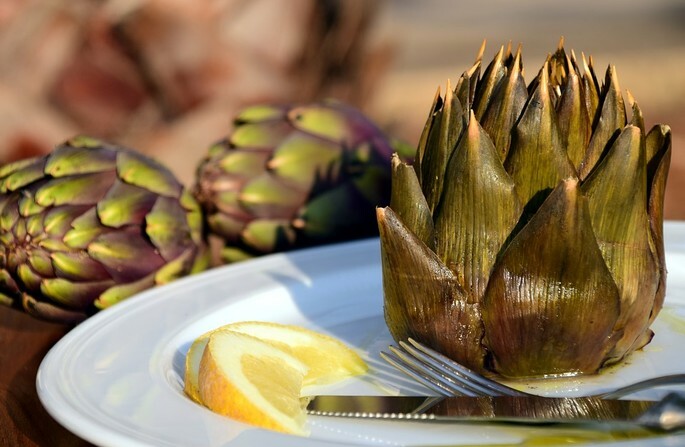 Arrange the artichokes in a pan, lightly grease and bake for 10 minutes at 180 ° C.
Season with a teaspoon of extra virgin olive oil and a pinch of salt; serve warm accompanied by baked potatoes.